The study area is characterized by harsh climatic conditions with winters lasting up to 9 months and brisk summer temperatures. Furthermore calm periods may alternate quickly and unexpectedly with severe storm events with wind speeds exceeding 150 km/h. 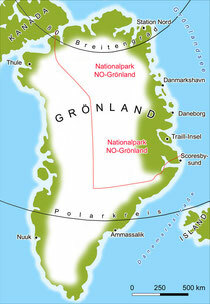 North East Greenland harbors some of the most appealing scenery and has since been designated as a National Park. It covers an area of around 950 000 km² which corresponds to the joint size of France and Great Britain, making it, by far, the biggest National Park in the world. The coastline is deeply indented by glaciers issuing from the icecap that descend to the leads of the fjords. In summer, lowlands and greater valleys feature snow free habitats that are inhabited by well adapted plant and animal communities. These rather simple communities provide quite ideal conditions to explore ecological interactions. 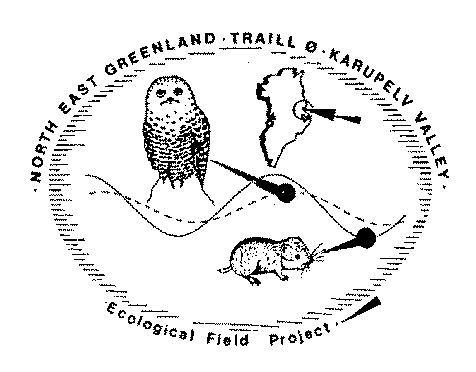 For this purpose, a study site encompassing the coastal lowlands has been selected in Karupelv Valley on Traill Island, at approximately 72°30' north and 24° west. It is featured by high arctic habitats consisting of sparse vegetation cover that support one of the most simple communities in existence including the collared lemming (Dicrostonyx groenlandicus) that is the staple prey of a limited number of predators.